Harvey Birdman, Attorney at Law was one of the original Adult-Swim shows on Cartoon Network, and it was easily the best. It centered on the classic Hanna-Barbera cartoon character, Birdman, as he begins his second career as a high-powered lawyer for other classic toon characters. From drug charges against Scooby-Doo and Shaggy, to a crackdown on organized crime featuring Fred Flintstone as a mafia don, every episode of Birdman was a cameo-fest fill with our favorite characters. This is a show that could have used a lot more love from Cartoon Network because, unfortunately, there was always an agonizing wait in between new episodes, and new seasons were brief at best. 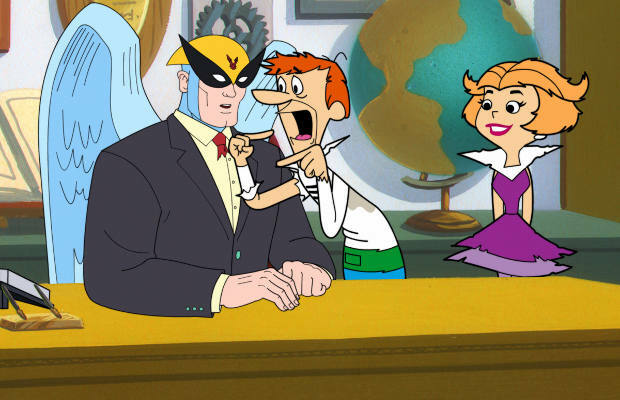 Still, with hilarious scripts and voice-acting by Gary Cole and Stephen Colbert, Harvey Birdman, Attorney at Law survived for a while despite being overshadowed by other Adult Swim programs.